Water conservation is a big issue for many people and it has an effect on a lot of different areas. That is why we hear so much about turning off the water when brushing your teeth and stuff. The thing is, very few people realize that when they want to conserve water, the first thing they need to change out is their toilet. That is why toilet manufacturers, like Kohler, work hard to provide a great flushing toilet that uses as little water as possible. One toilet that will use the least is the San Raphael, but does it really flush out as good as you would hope? 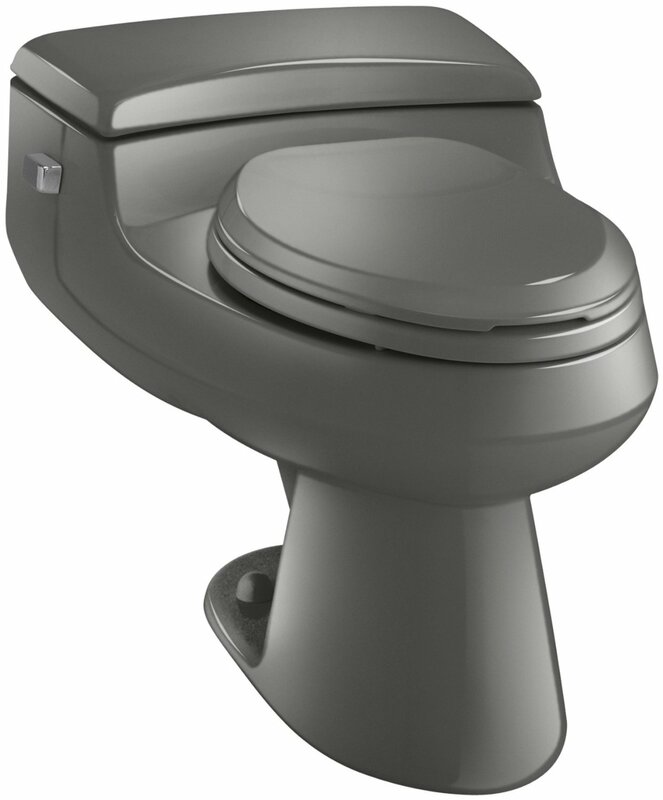 Read our Kohler San Raphael Pressure Lite toilet review to find out. When you think of a toilet, you probably visualize a standard toilet. However, when you first look at the San Raphael, you will have to change the way you think a toilet looks. This toilet has virtually no tank on it and the base is not as bulky looking as some other toilets that are on the market, including those made by Kohler. This in itself should show you that this toilet is designed to use very little water when it flushes. 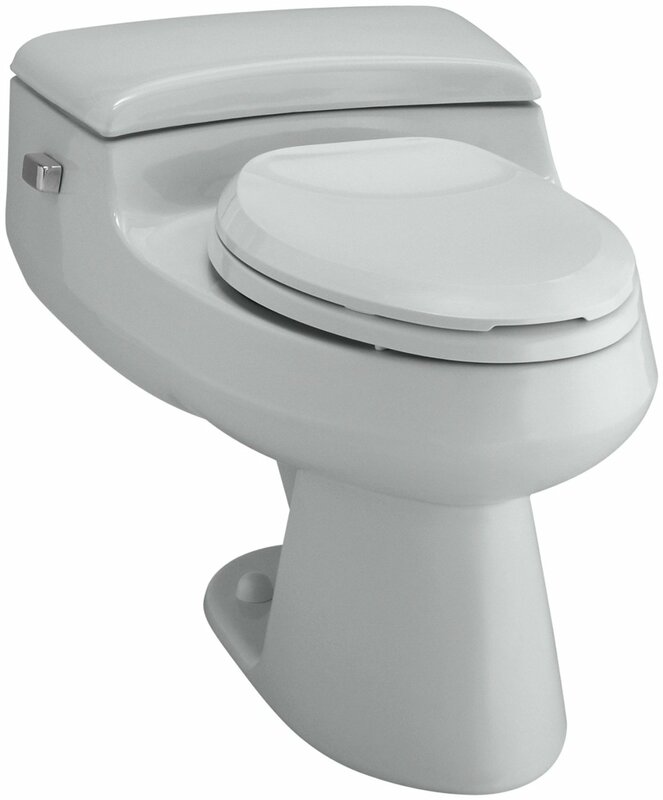 It is an elongated toilet that uses only 1.0 gallon of water per flush using Pressure Lite flushing technology. Most other toilets that are considered great to own, use 1.6 gallons or more of water with each flush. This is why it is featured on our top 5 low flush toilets, although it looks nothing like others on the list, such as the TOTO Ultramax II or the Kohler Santa Rosa. With the unique way that this toilet looks, you may expect it to be a lot different from other toilets, but this is not true. It requires a 12” rough in and measures 30” L x 19-1/2” W x 21 1/2” H. This puts it in the running with other toilets as far as the size and space that is required to use it. This toilet is available in a variety of colors so that you can decorate around the toilet or have it blend in with the already existing decor with ease. It is also one of the few black or gray toilets on the market. Other colors include traditional colors such as white, biscuit, and almond, but there are also choices like dune, ice gray, and sandbar. It comes with a polished chrome trip lever and a French Curve Quiet-Close toilet seat. The toilet seat has quick release functionality. The San Raphael is a one-piece toilet. This does mean that it is heavy at 117 pounds. This may make it difficult for some people to install without help, but once installed, it will be extremely easy to clean both inside and out. There will not be any creases for dirt or other items to build up between the small tank and toilet bowl base. As you l﻿ook ﻿﻿at﻿﻿ the﻿ ratings for the San Raphael toilet, you will notice that either people love it or hate it. It either has a five-star rating where someone says that it is comfortable and great for water efficiency, or a one-star rating that says shipping was slow and then it arrives to them broken. One common complaint among lower star ratings is that it does not like to flush paper and that is a little loud because of the “whoosh” when it flushes water out. This is because of the pressure lite feature and the fact that it uses so little water that it requires a solid pressure. Because of the many bad complaints, we can't say we really recommend this toilet with so many high quality, highly rated toilets out there. Although there are many love it, it seems that there are just as many that feel its more of a headache than its worth. Is the San Raphael Worth It? The idea that it does not flush toilet paper down is disappointing for some, but you never know how much paper they are trying to flush at one time. It may be perfect for the amount of paper that you personally use. The upside is, most of those who say that it does not flush paper, state clearly that it does flush solid waste out with the first flush. Most all users state that it does sit higher than other toilets and that this is a feature that they enjoy. Since most of us do not have the luxury of testing a toilet before buying it, you will have to base your purchase on the fact that Kohler means quality and they stand behind their name. If you are one of the unlucky ones to experience issues, then hopefully they will be quick to resolve them.